Breakfast is the most important meal of the day. At le bistro de l’Echanson, we fully agree with this saying. The morning buffet plan will allow you to be well prepared for a sightseeing tour or a full business day in Tokyo. Enjoy our continental style breakfast with Japanese influences. With our French bread, pains au chocolat and croissants, you will have everything you need to start a wonderful day! Our buffet offers a great variety of hot and cold dishes and drinks. Enjoy our French pastries, fruit salad, bacon, sausages, boiled and scrambled eggs, ham, miso soup, juices, hot drinks etc. 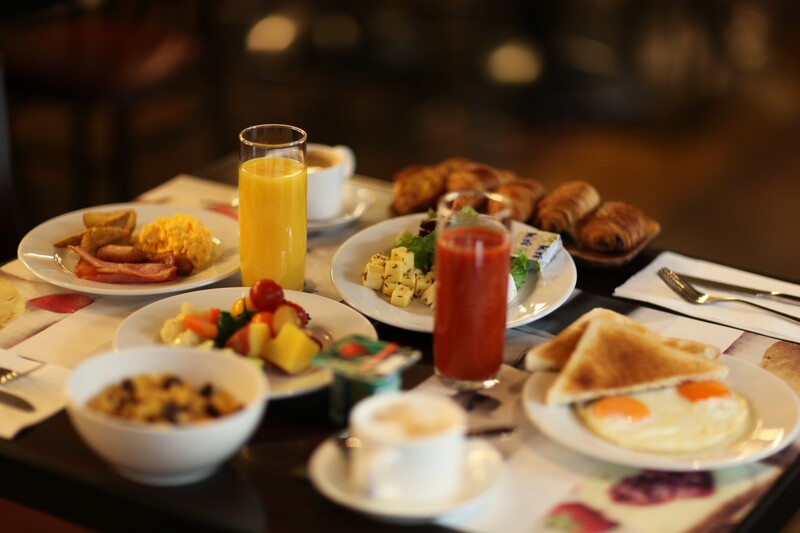 You can enjoy your breakfast from 6:30 AM until 10:00 AM on weekdays, and from 6:30 AM until 10:30 AM on the week-end. Come and treat yourself to a sweet morning time in Ginza! The price of the Breakfast Buffet plan is of ‎¥2200. It includes taxes and give you access to the Breakfast Buffet until its closure.